One thing i cant stand about SH games is the puzzles that are so pointless or make no logical sense whatsoever.. 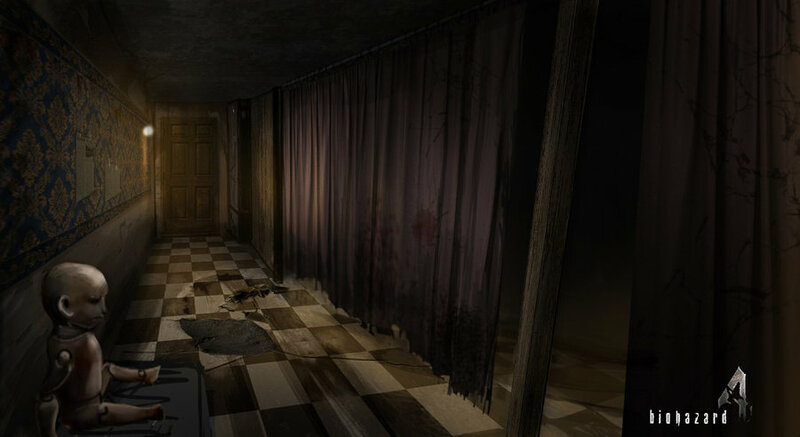 If you want find-the-key, play Resident Evi. Or even Shattered Memories, at the least. Silent Hill's fandom prides itself on the "deep" puzzles the series has. Whether the puzzles are truly great or not is up to opinion; I think they're just as unrealistic as the next guy. But there's no denying the creativity in their designs, and to me they're more interesting and unique than any other game in the genre. i dont mind the deep puzzles that actually make sense and make you think. you might as well call this instance a stupid puzzle as well. I remember spending a good 3 or 4 hours exploring the town trying to figure out where i needed to go next and it turns out i had to access a random ladder thats in the corner of the town. i remember running by it once but had no idea i was suppose to pull it down with a weapon..i can almost guarentee about 90% of you had to look at a walkthrough guide to figure this out..i ultimatly had to as it got annoying not knowing where to go..just stupid crap like that is what turns newcombers to this game away. as with this silent hill game there's really no sense of direction on where to go. your kind of just exploring until something happens. with so many side quests and whatnot this game can really turn frustrating rather quickly having to remember where everything is. another thing why is there just "?" labeled on the map..one would think you could write in the locations of these places you encouter so you dont have to rack your brain remembering where stuff is. i ended up doing only 4 of the side quests but just got to the point of being like ok, i have no idea where the painting place was, etc... and im not about to spend another 2 hours searching for these locations so "f" it..im moving on..i think it would be a great addition to be able to write in your own notes on the map, so you can just be like (painting), (Bird),...just stuff to help you remember where things are..
Ha! Both these instances stumped me as well. I didn't even realize the ladder was glowing at first so I was running around town trying to find what to do and got stupidly frustrated so I had to look it up. Yeah it should have been a little clearer but each game has its share of obscure puzzles. Even the big chandelier puzzle took me a while to figure out but I eventually examined the chandelier and noticed there were places to put something. After that I just had to finally discover that you actually had to raise it back up to reveal the symbols. D'oh! And in regards to the Map, I would have to agree and Murphy is the worst protagonist when it comes to marking useful information on the map. * Should add that the cinema side-quest stumped me as well and had to look it up online for the solution. My issue with things like these is that I have little patience when it comes to solving complicated side-quests to the point that I will give up because I just want to progress with the main story and don't feel like looking all over the place for a solution. Don't have much of a choice in this when it's a puzzle that is required to move on in the main story. For a while I would always try to remember combinations/solutions. But having a pen and a piece of paper nearby solves that. With regards to the ladders, I believe there was a hint that sort of implied you could use a certain weapon to access them. One gripe I had with the puzzles involved the puzzle with all types of machines and they made noise which attracted enemies. I figured all the numbers would involve the machines, but one of them was just on the damn ceiling. I found it really obvious that there would be something if you raised the chandelier again, I found it the simplest one in the whole of Downpour... in fact, i found most of the puzzles to be really simple. Only some of the sidequests were awfully odd, strange and too difficult for me, and it caused me to just skip through the town to my next objective. But just main-quest-wise, the puzzles were very simple compared to the other titles (except for SHSM). And most of the puzzles are not meaningless at all, although they have become 'more meaningless' throughout the series, the chandelier one is indeed quite meaningless, it's just to reflect the theater bit from earlier. The odd puzzles are part of what makes Silent Hill special for me; i prefer it a lot over "Oh no, another closed door; beter find the key that's always somehow nearby". If you ask me, puzzles were more difficult and well-thought in the first 3 games. Origins did a pretty good job though. 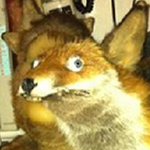 >If you want find-the-key, play Resident Evil. Actually the older RE games are infamous for their insane puzzles aswell. I remember playing the first RE (remade for the Wii however), and the thing about the puzzles were that you didn't have a clue were and/or how you had to use the items that you found; and above that, you had a really limited inventory. I found it more frustrating than laudable. Of course, this was a while ago and my memory might be fuzzy. And I have to agree that the first SH games had more well-thought puzzles. Best that you not devote too much thought to doors in Silent Hill. Otherwise, you might think... "Hey! I'm carrying a fire axe and a shotgun. So when I run into a locked door (or one with a broken lock), I can such chop through the door, or blast the lock apart!" >I can such chop through the door, or blast the lock apart! That's one of the things I didn't like when it got introduced in Homecoming. Downpour followed Homecoming's example, which wasn't a good thing. another puzzle in this game that I guarantee nobody got without looking at a walkthrough guide was that number puzzle when you encounter the big boy zombies in the jail..you have to find 5 or 6 random numbers to enter in and the #2 I think it was impossible to find because its on the ceiling in some random location that nobody would ever look at. another one is the stupid 4 color combo buttons to get on the train cart in the cave..that puzzle cannot be solved in its current form the way its written. I just know tomm hullett was the one who did this puzzle because its so poorly written. I ultimately got the combo right by just randomly pressing the color buttons for 15 min. Aside from just few puzzles, I agree. Downpour had lousy, uninteresting puzzles. Wow, it's like the OP has never even heard of the adventure game genre, known for their Moon Logic puzzles. Silent Hill will never have good puzzles until they feature a rubber chicken with a pulley in the middle of it. Wait, what? Rubber chicken and a pulley? I'm trying but nothing is coming up. Anyway, Downpour's puzzles were interesting for me. They reminded me of the past puzzles of the series, yet held their own in the gameplay of Downpour. Where older SH titles have been very reading/item heavy ones, the newer installments (SM/DP/HCM) have tested the waters with the interactivity of the gaming media, and I can respect that. This puzzle with the bells was one of my favorites because of how explicit it was. I felt the "town" was playing with me as much as I was playing with it at this point, almost as much with the stage "Hansel and Gretel" puzzle. I think Silent Hill Puzzles are great because they are really deep and interesting. Like the blue candles one, he needs to light up something to open a door and go to the next room. It makes a lot of sense even if it is as insane as the town is. Or the theater puzzle that turns out to be a real forest: he totaly play a part. Some puzzles were interesting, but the scene in the prison where you have to find the numbers to unlock the door is horrendous. I still haven't figured out the ribbons and cinema side quests. I'm trying really hard to do them without any help. Completely stumped.